A growing number of distributed offices fulfill video exchanges and communication between different regions or different offices via video conferencing software and by employing existing networks, which can not only save the expensive travel costs, but also greatly boost efficiency. Qycx Video Conferencing Software possesses such instant messaging features as messaging, file sending and receiving and remote assistance. More importantly, it also encompasses the following features: video conferencing, video calling, remote training, remote site-viewing and real-time subtitling. It is worth noticing that remote site-viewing can be used by headquarters to collectively view all field offices. In addition, it can be applied to Simplified Chinese, Traditional Chinese, English and other language systems of 32-bit or 64-bit operating systems and can be run in a variety of complex network environments including WAN and LAN. Enhanced version supports Win8 tablets. Use for desktop PCs: It is applicable in general offices, meeting rooms and other places, and supports such video conferencing features as meetings, training, calling and remote site-viewing. Use for touchscreens: It can be used in touch-screen environments in a variety of public places such as lobbies, halls, corridors and meeting rooms, and it supports such video conferencing features as meetings, training and calling. Use for tablet PCs: It satisfies the demands for mobile video conferencing of users of Win8 tablet PCs. Basic version: It is primarily used for video communication of resolutions 320x240 and 640x480. Applicable to: users whose network bandwidth and hardware conditions are general, and who place emphasis on the smooth flow of video communication and have less demanding requirements for video performance. Standard version: It can be employed in resolutions 640x480 and 1280x720 with smoother screen sharing and its capabilities with regard to video and audio support are far beyond those of the basic version. Applicable to: users whose network bandwidth and hardware conditions are better with the hope of better video effects. Enhanced version: In addition to having the functions of the standard version, it can also be run on touch screens and tablet computers. Advanced version: It can be used at full HD 640x480, 1280x720 and 1920x1080 with exceptional visual effects. Applicable to: users whose network bandwidth is terribly excellent, whose computers have high hardware configuration and who strive for perfect video effects. Under the conditions of excellent network bandwidth and hardware conditions, Qycx Video Conferencing Software can achieve video conferencing of clear images, smooth audio, strong real-time performance, sound stability and other characteristics. 1) Money-saving and efficient network meetings. The Software spares long-distance journeys and enables colleagues scattering in different locations to attend face-to-face and highly efficient conferences, to debate and exchange with many people as long as they sit before a computer. 2) Live. The Software takes advantage of a full-screen mode so that the video and sound of the spokesman can be transmitted through a network to all participants like a television and thus everyone can hear and see as if on the site. The problem of many branches or affiliates renders the management unable to grasp the operation of the branches, which is detrimental to management. 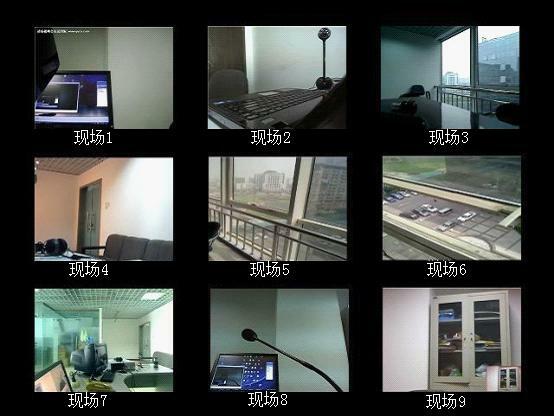 Qycx Video Conferencing Software provides a way of easy camera sharing so that the remote office sites can be viewed whenever necessary, thereby reducing the difficulty to manage the branches; moreover, during a meeting, the Software can also be used by the headquarters to watch all sub-venues. 1) Camera sharing. Through the network, the remote office sites can be viewed whenever necessary. 2) Screen sharing. For computers with real-time monitoring of images, after the desktop sharing is set, the images can be forwarded to a large number of people after being authorized so that the monitored images can be readily remotely viewed. 3) Remote sub-venue-viewing by headquarters. When the headquarters summons a videoconference, not only can the attendees watch the video of the spokesperson, but all sub-venues are displayed collectively, whether or not there is a spokesperson. Enterprises often need to organize a variety of conferences, seminars as well as training sessions. Desktop screen sharing of Qycx Video Conferencing can be used to display conference documents or desktop operations: For instance, spokesmen speak while drawing schematic diagrams for the participants to see; trainers can explain by running a software interface, etc. 1) Video observation. 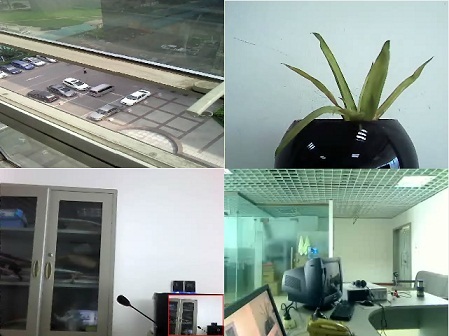 Sites or material objects can be demonstrated through network videos so that participants are able to learn and communicate with each other sitting in their own offices. 2) Screen sharing. It can be employed by trainers to demonstrate meeting documents and desktop operations. 3) Playing of VCDs and other multimedia teaching films. Such multimedia teaching films as VCDs and WMVs can be opened and played. It is the most common work to find someone, send notifications, give emergency response and make emergency calls in dispersed offices, different floors or different offices. The video calling feature provided by Qycx Video Conferencing can release both audio and video to quickly find or notify colleagues in dispersed offices. For example, notifications can be heard and seen in diverse branches through video calling no matter how far the branches are; emergencies can be passed fast to all designated offices through video calling so that delays can be spared because the sites can be seen in time. Adding real-time subtitles when convening a videoconference can strengthen its expression and communication effects, for instance, to release the conference outline by using its multi-line caption feature and to display speech subtitles by importing subtitles in bulk so as to facilitate the speech. 3) Remote assistance: Computer desktop of the requester can be operated. 1) Supporting multiple languages. The Software supports video conferencing in a multiple-language environment covering Traditional Chinese, Simplified Chinese and English. 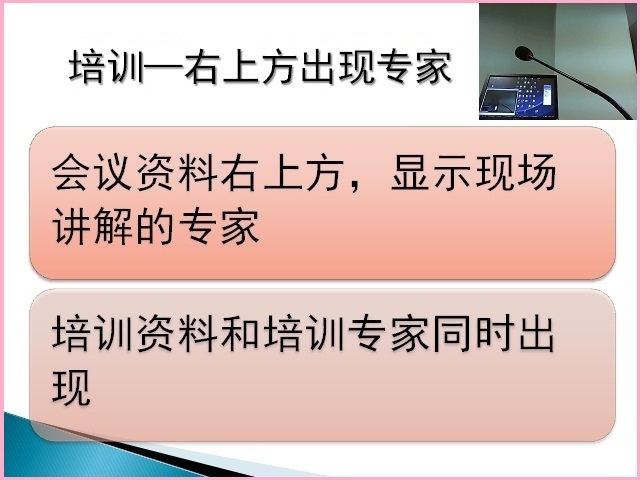 For example, videoconferences can be held between Japanese and Chinese computers. 2) Applicable to complex networks. It supports LAN or WAN video communication of cross-VLAN, cross-VPN as well as across routes and multiple network segments.